例：We talked for hours, but we were just going round in circles. 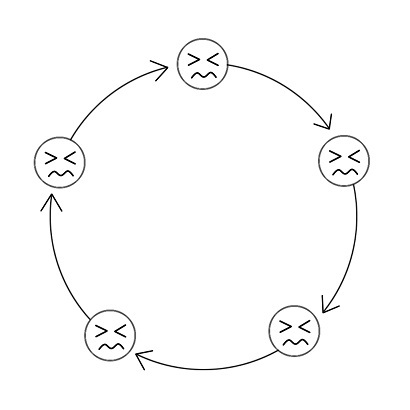 例：We just keep going around in circles, talking without deciding anything. "In some cases that we've struck recently, it's like going around in circles."